1949 Born in Bristol and moved to Clevedon, Somerset to spend the first ten years of his life. At the age of four, he was taken to see his grandparents in London and realised that there’d been a terrible geographical mistake. 1960 Attended Nailsea Grammar School which, because of Mark’s comprehensive education, became Nailsea School in 1966. 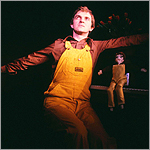 1967–71 Attended St Andrews University, where he met his long-time partner Andrew, wrote for the university newspaper, wrote and performed in the revue and directed three plays very badly, one of them in French. Oh and got a degree. 1972 Finally moved to London which was where he was supposed to have been all the time. 1973 Started working in film distribution, a field in which, despite being made redundant twice, he managed to stay for six years. 1974 Got a flat in the home of Betty Swanwick RA who became friend and mentor. This may not seem very important but it was. 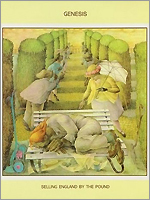 Amongst many wonderful works, a painting of hers was on the cover of Genesis' 'Selling England by the Pound'. Andrew came to dinner and stayed. Attended the International Gay Rights Congress in Edinburgh. May well have been politicised. 1975 Joined Icebreakers, a gay telephone help-line collective. Wrote a domestic Christmas Oratorio about the previous year and realised he had a bit of a way with funny songs at the piano. 1976 Wrote a funny song for Icebreakers' fourth birthday party. Realised that not very many people were writing funny gay songs. 1977 First of three gigs singing his now burgeoning collection of songs, whilst two other friends read prose and poetry, in aid of the Gay News Fighting Fund (see Wikipedia or some other useful source of historical background for further details of that). 1978 Third gig leads to major rave article in Gay News which leads to first paid gig on a Sunday lunchtime at Country Cousin in the Kings Road. (Peter Allen is on in the evening). 1979 Appears at the Gay Times Festival, Britain’s first gay arts festival, at the Oval House in March. Made redundant from fourth film company job in six years and decides to settle down and become a star. It’s not as easy as it looks, despite a successful tour with Jan Hammarlund in Sweden and Norway. And regular gigs at the Gay’s The Word bookshop. 1980 Gigs at Gaysocs in Edinburgh, Glasgow and Aberdeen lead to being taken to San Francisco for a six week run and then playing to completely packed houses in a small theatre at the Edinburgh Fringe and named “Best Individual Performer On The Fringe” by the Sunday Telegraph. A Radio Four commission floods in. Returns to Edinburgh in 1981, 1982, 1986 and 1987. 1982 Cabaret shows in in New York. Writes book, music and lyrics for Just Good Friends which wins the National Musical Theatre Competition run by the Cockpit Theatre and is produced to sell-out houses (the queue for returns on the last night started at 5.30, really) in September. Rave reviews in the Sunday Telegraph and Morning Star. Chosen “Best New Musical of the Year” by City Limits magazine. Homes and Gardens, a second youth musical, is commissioned two years later but Just Good Friends is never seen again. 1983 (till now). Solo shows continue all over the UK with occasional radio appearances including two Pretty Policeman's Balls, benefits for Gay Switchboard, at the Piccadilly Theatre in 1984 and 1985, A Sunday Night Out, the BBC’s first ever piece of gay programming on Valentine’s Day 1993, later that year doing a tour of Sweden, Finland, Estonia and Latvia, invited to perform at Europride 1996 in Copenhagen. With the late Brian Kennedy, co-founds the Pink Singers, now Europe’s oldest lesbian and gay community choir. Recent London appearances have included the Pheasantry, Crazy Coqs and The Loft at the Brasserie Toulouse Lautrec. 1992 Appointed a magistrate to the surprise of many. 1995 Canonised by the Sisters of Perpetual Indulgence as “St Mark of the Musical Tendency” (St Mark Lark for short.) for his contribution to gay liberation in the UK. 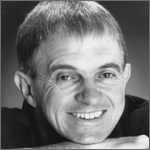 1999 Auditions for and joins Mercury Musical Developments which leads to a whole mass of musical theatre writing from then till now, including Achilles in Heels and Unburied Treasures. 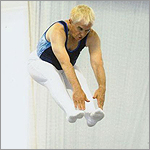 2011-2015 British Gymnastics Association over-60s recreational trampolining silver medallist. 2012 and 2015 gold medallist, 2013 Over-40s bronze medallist and 2014 silver medallist. 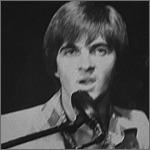 2012 Is the subject of Looking At You documentary film Mark Bunyan: Very Nearly Almost Famous. The film is shown as an official selection for Frameline37, the San Francisco International Gay Film Festival, in June 2013.